Printed Churidar Anarkali style suit. The long suit is beautiful printed. Suit includes the Salwar and blue Scarf. 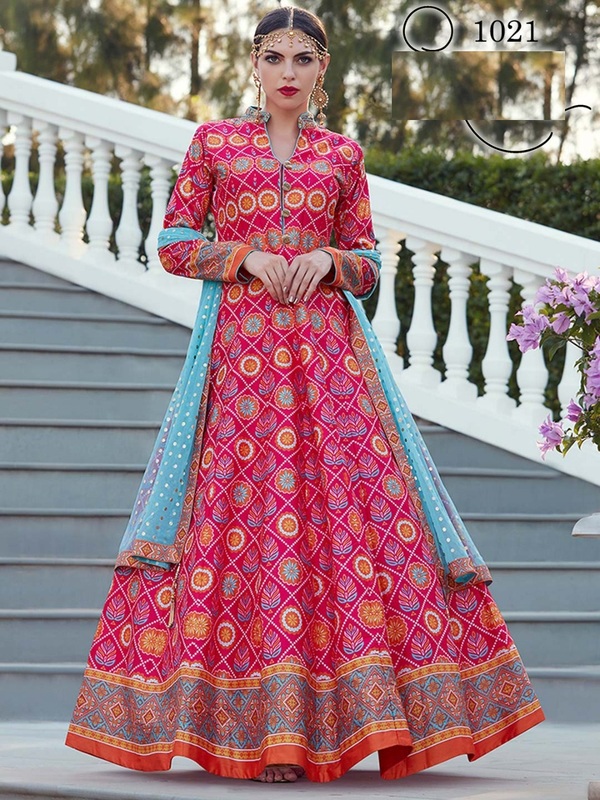 Buy Stylish Long Anarkali Churidaar Suit in Pink & Blue M/L, sold & shipped by DilliHaart where you can shop online for Indian Kurtis, Discounted Sarees, Anarkali Suits & Salwar Kurta. This Readymade Anarkali Suit collection has been tagged as stitched Anarkali suit, Churidaar, Chooridaar, Salwar Kameez dress, readymade floor length anarkali dress, women clothes, salwar kurta.